The Compact Keyboard with Mouse Pad offers an alternative access method to laptops and other computers. This keyboard combines a mouse and keyboard in one. 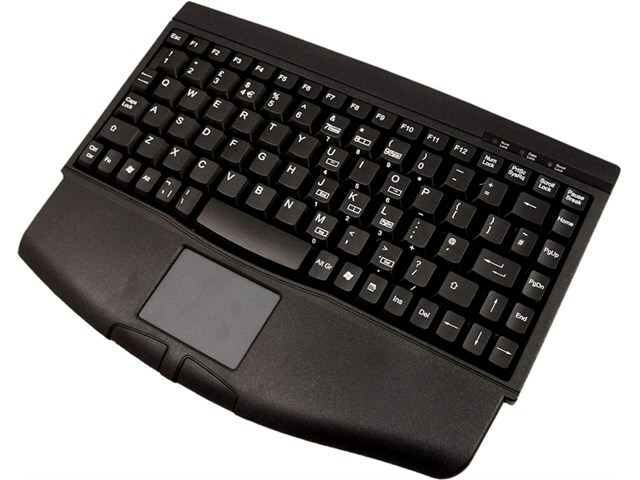 It's about the same size as a laptop keyboard which makes positioning easy. 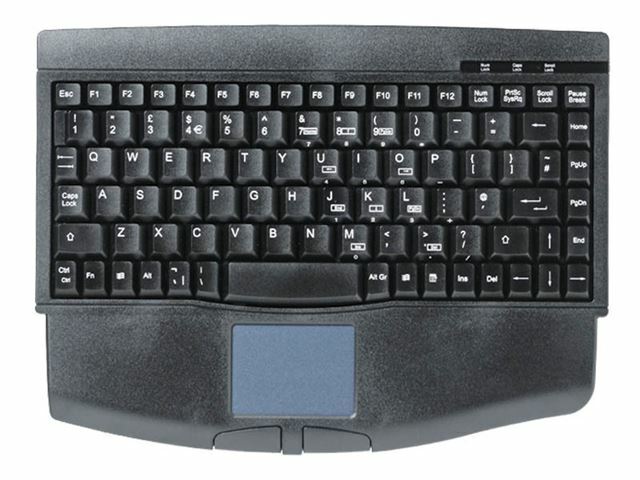 The USB connector allows this device and a standard keyboard to be alternated without any set-up time.